A space to enjoy, even in those busy mornings. 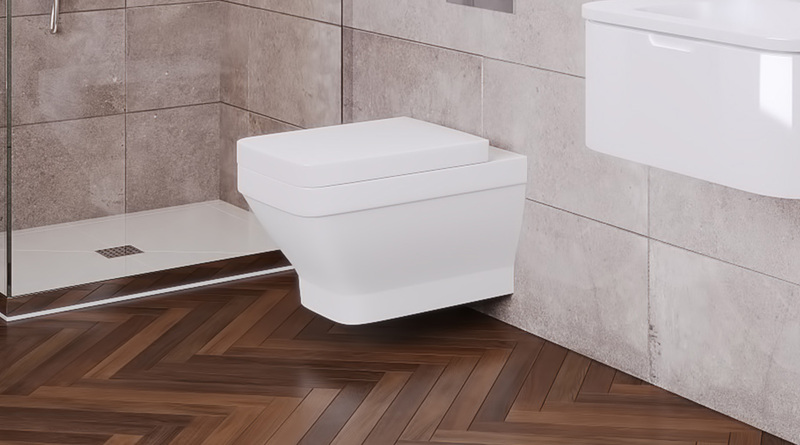 1x Wall Hung Toilet for easy clean with a slim line soft close lid and seat – designed with lid that hides the seat, to create a sense of detail and finish. The off-floor toilet creates a sense of space with easy to clean floors. 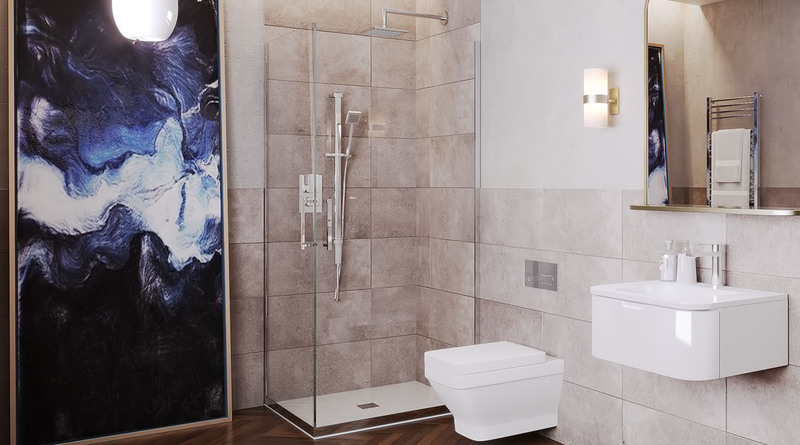 It comes complete with a wall frame, dual flush cistern and flush plate for a clean look that our engineers tested to ensure the best fit and style with our designs. 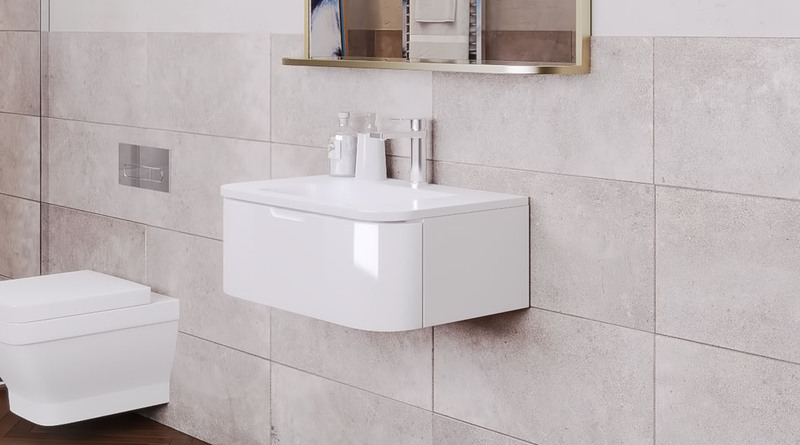 1x Vanity Unit – off floor compact style – integrated high gloss white basin with accompanying surround that creates the desired look. This is with central mixer tap and click-clack waste. The unit benefits form storage underneath via soft close draw. Hidden mechanism create the seamless look. 1x Shower Unit entered via double access glass hinged door to maximise entrance space, with accompanying side panel with chrome handle. 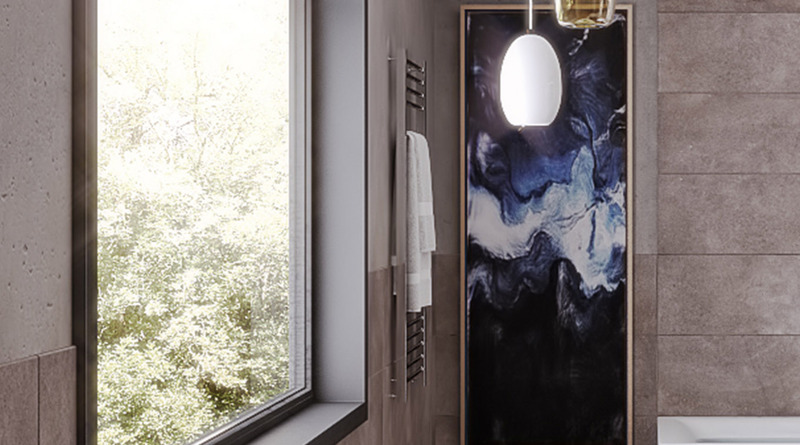 The shower system is via a concealed valves and wall mounted head with generous shower head in ‘square’ design’ to create that ‘rain’ effect shower feel. Also included is a slide rail kit with hand shower – height adjustable – all chrome look. 1x Chrome Wall Mounted Towel Rail with a height of 1,100 and a width of 500mm. 1x Radiator Valves chrome effect – round style. 600mm wall hung vanity unit and basin, mono basin mixer and click clack waste. 500mm x 1100mm towel rail and rad valves. 900mm square low profile shower tray and waste, 900mm double hinged door enclosure, shower valve with diverter, wall mounted shower arm and square shower head and riser rail kit. Extra slim push fit waste trap for ease of installation.